Late availability special offers 4 of the best villas we have picked out for you. It’s that time of year when a few owners decide to lower their prices in order to fill the few remaining weeks left in their villas. Here are the best 4 but you better book now as they will be snapped up in no time. Kerlouis B908, villa for 8 with pool (covered or open) in Brittany, France is offering up to 20% off. Prices start at £710 per week. 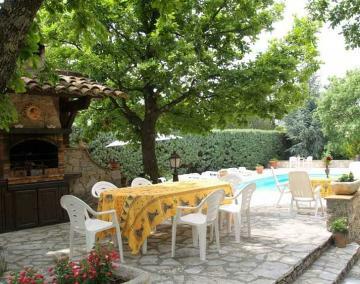 Bella Vista GUA811, villa for 8 with huge infinity pool, near Rome in Lazio. Save up to 30% on one of the finest rental properties in Italy. Prices start at £2130 per week. Sisoti SPL815, luxury villa for 10 with pool near Lisbon, Portugal. You can walk to the golf links from the villa. Prices start at £2660 for the week. Save up to 20%. Villa l’Estival VAL042, villa for 8 with private pool, in the charming hilltop village of Saint Cezaire. Prices start at £1550 for the week. Save up to 15%. We have a large range of high quality hand picked villas in France, Spain, Italy, Portugal, Greece, Croatia as well as long haul holiday destinations, all are well priced, even more so with our late summer deals.